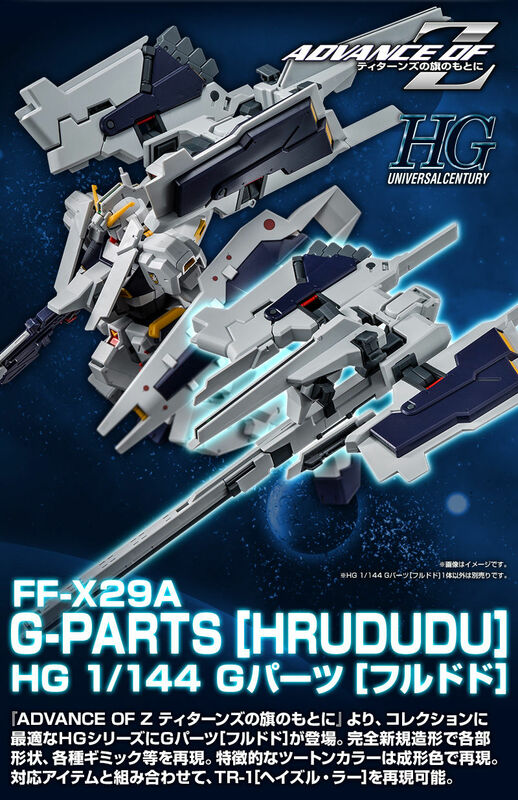 G parts [Furudo] appears in the HG series that is most suitable for collection. Completely new shaping to reproduce each part shape, various gimmicks etc. In addition, the characteristic two-tone color is reproduced by molding color. Combined with corresponding items, TR-1 [Haze-Ra] can be reproduced. - Reproduce G parts [Furudodo] with new shaping, molding color! The G parts [Furudodo] are reproduced with completely new shaping with each shape, characteristic two-tone color forming color. Expandable gimmick of the joint arm, reproduces the opening and closing mechanism of the claw part. It can be combined with HG TR-1 series beam rifle parts to make long blade · rifle. By the linkage mechanism, it is possible to reproduce the united Furudodo 2 machine. 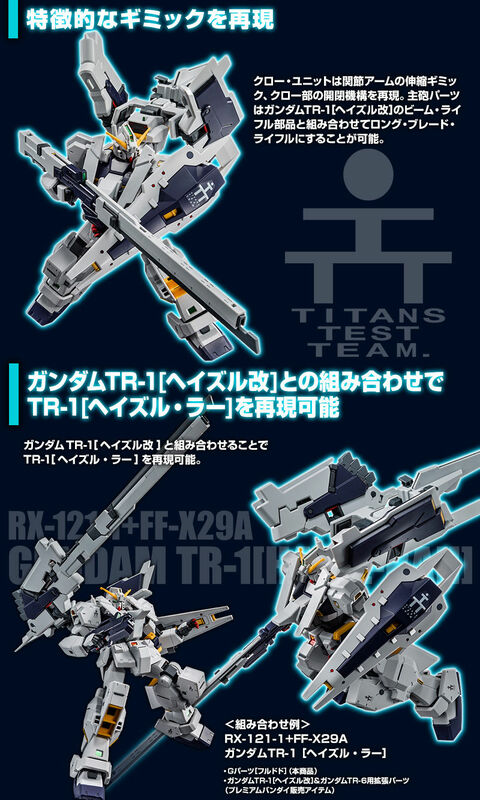 "RX - 121 - 1 + FF - X 29 A Gundam TR - 1 [Haze - Ra]" can be reproduced. 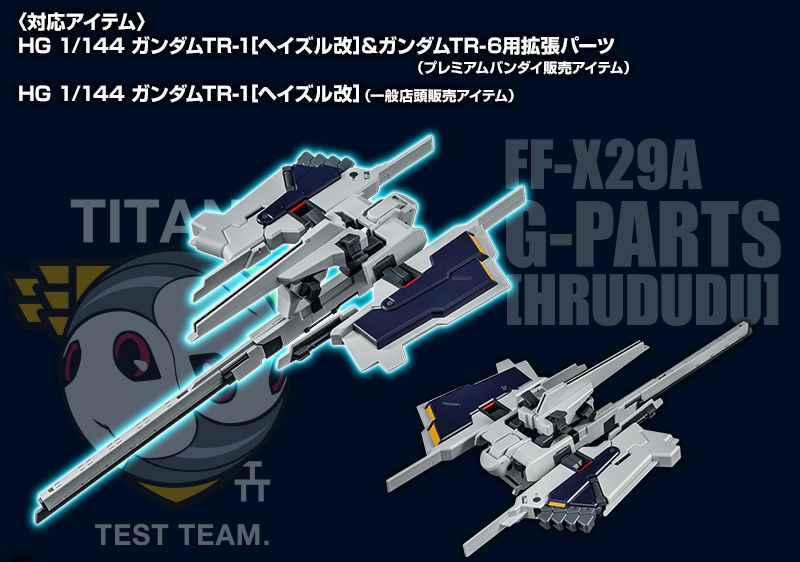 ※ This product is HG 1/144 G parts [Furudo] (actual deployment color) and the same specification product. ※ This product MS body is not included. NOTE: This is Expansion Parts only, MS body sold separately.